The Malawi eHealth Research Centre, based at Mzuzu University, is a dedicated eHealth education and research facility. It is designed to act as an international hub for academic and industry partners with an overall aim to enhance the delivery of healthcare across Malawi. Through its suite of educational programmes, Information and Communication Technology (ICT) and Healthcare professionals will have the ability to up skill across a number of areas including eHealth, mHealth, wearable devices, point of care diagnostics, (Electronic Health Records) EHRs among others. This will translate into immediate and improved adoption and integration of eHealth solutions: View Education Programmes. Building on this educational capacity, is a growing arm of eHealth research. Establishing a strong evidence base is a key focus of the Malawi eHealth Research Centre. It is through such evidence that new methodologies and eHealth solutions can be rigorously evaluated against the healthcare needs of Malawi. From this baseline, interventions which demonstrate a clear benefit within the healthcare pathway may be considered for real world integration: View Research Projects. Protocol for a systematic review and qualitative synthesis of information quality frameworks in eHealth, BMJ Open. 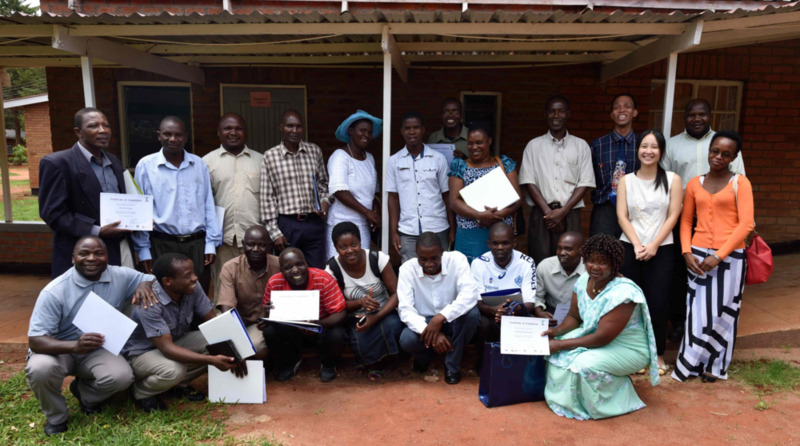 Training community healthcare workers on the use of information and communication technologies: a randomised controlled trial of traditional versus blended learning in Malawi, Africa, BMC Medical Education. Enhancing Information Quality as Part of the Disease Surveillance System in Malawi, Africa: Reflections on a mHealth Intervention, ISD Conference.